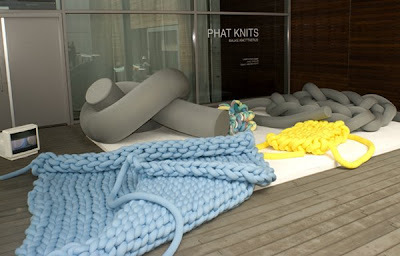 Do you know what Phat Knits is? 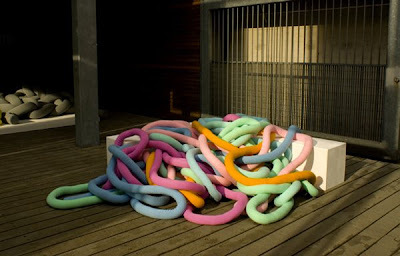 No, neither did we know anything about it till we came across this interesting creation by the Flemish artist Bauke Knottnerus. 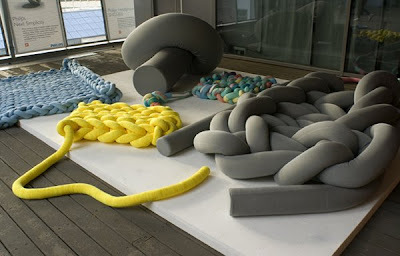 Its an incredible series of colored yarn of huge size, used to create knitted or not, interior products.